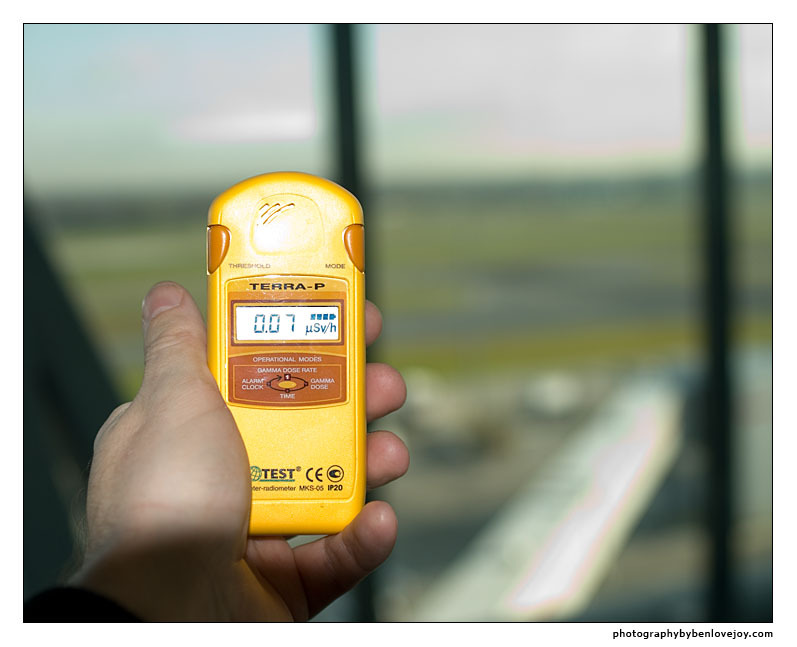 There are a whole bunch of different ways you can measure radiation levels. The most useful for our purposes is to measure the radiation dose, ie. the effect of the radiation on human tissue. This used to be done in rems and is now done in sieverts (1 sievert = 100 rem). Since one sievert represents a massive dose, most measurements are done in either millisieverts (mSv = 1/1000th of a sievert) or, more commonly, microsieverts (uSv = one millionth of a sievert). Dosimeters generally measure in microsieverts. The effects of radiation on human beings are somewhat unpredictable, but around half of those exposed to 4 sieverts will die, and almost everyone will die when exposed to 10 sieverts. To put this into context, the average exposure from all radiation sources for a member of the public is around 0.26 uSv/hr (one quarter of one millionth of a sievert). The average dose received by nuclear workers is in the 3-25 uSv/hr range. Radiation levels in the control room immediately after the explosion reached around 300 Sv/hr - providing a lethal dose in 1-2 minutes. Almost 22 years later, levels inside the reactor hall today are approximately 34 Sv/hr - a lethal dose in 10-20 minutes. Not really somewhere you'd want to include in the itinary. Radiation is partly absorbed by the sarcophagus, and also falls off with the square of the distance, so even 500 metres outside the reactor the typical levels are almost 1000 times lower, and that's as close as we'd get (though we would briefly experience higher doses elsewhere in the Exclusion Zone). To keep things simple, I'll express radiation readings in terms of both the actual figures and as a multiple of the background radiation level in London. However, as a slight complication, the geiger-counter I borrowed for the trip was a very basic one, and it seems from correspondence with a nuclear physicist (thanks, Pat Walden!) that it wasn't very accurate, under-reading by a factor of approximately 5 (4.88571, from the sums, but as everything was based on estimates of the error, we'll call it 5 for simplicity). I'll thus show readings in this format: <meter reading> = <corrected reading> followed by the comparison with London. However, the big difference is that cosmic rays pass straight throught the body - they aren't absorbed, so exposure is limited to the actual time at altitude. Caesium and strontium are absorbed by the body, so are many times more dangerous. 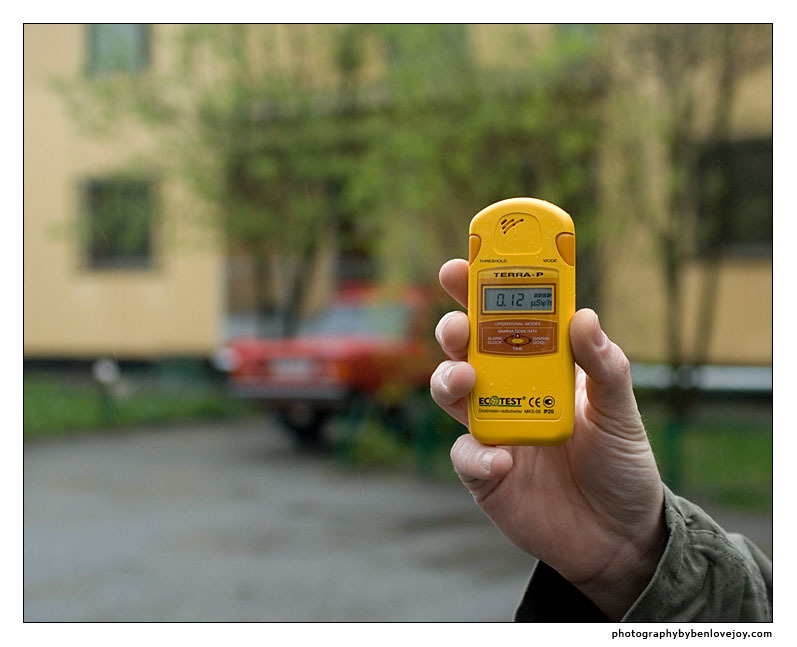 On arrival in Kiev, I emailed Mike to find out a Chernobyl-compatible alarm level (where it would warn of the hottest spots without sounding continuously), and the answer was 5uSv/hr. Kiev was reading 0.1 = 0.5uSv/hr (x1.4 London). 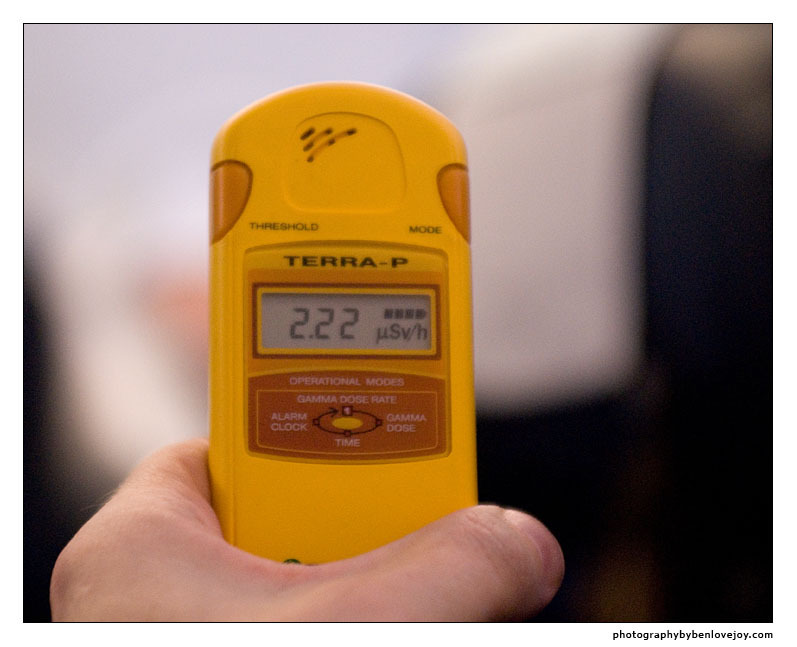 The geiger-counter also measures total dose received. I reset this on arrival in Kiev so that I'd know my total dose for the trip. This turned out to be 7uSv = 35uSv.. The Chernobyl accident would have killed the workers on duty at the time, whatever the circumstances. 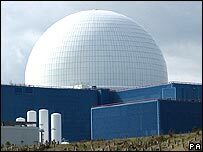 However, the only reason it affected anyone else was because the reactor lacked one simple thing that is common to most other reactors in the world: a containment building (in the UK, typically a dome). Nuclear reactors are not capable of a nuclear explosion. The worst that can happen is what happened at Chernobyl: a conventional explosion which then vents radioactive steam and dust. With a containment dome, all of the radioactive material released from the reactor is kept contained within the dome surrounding the reactor. It is still possible for radioactive material to be released in very severe accidents. In the Fukushima, the tsunami knocked out both main and backup cooling systems. Even though the reactors were safely (and automatically) shut down, heat continues to build for a time. Pressure built up and had to be vented. However, the amounts of radioactive material released in these ventings was minimal compared to Chernobyl.